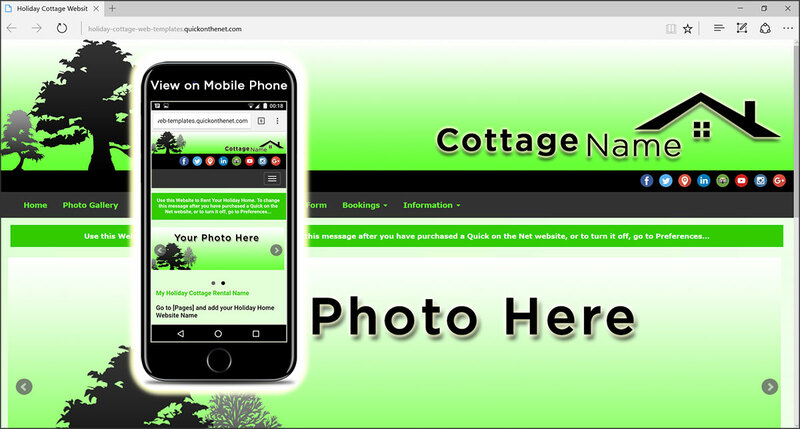 We offer a range of web template designs for B&B establishments, guest house accommodation, hotels and holiday home rental. 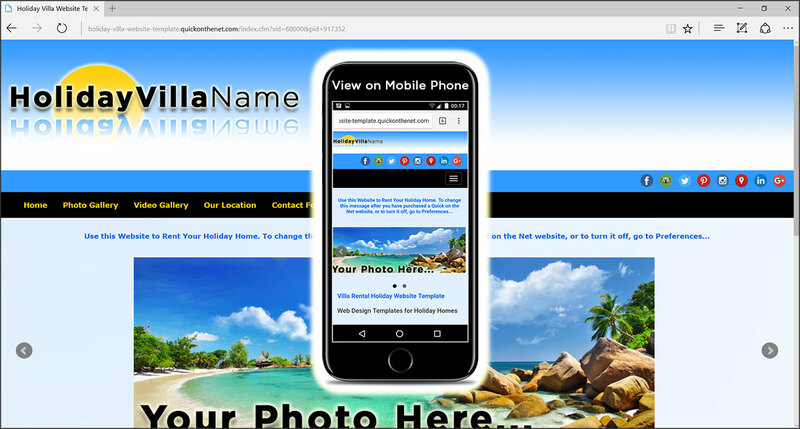 We provide details on how to create a holiday home website, bed & breakfast website or hotel website. If you more than one property to rent, you might wish to consider the estate agent website template options we provide. We have created an attractive modern design template for holiday chalet lettings. Skiing resorts and small hotels. 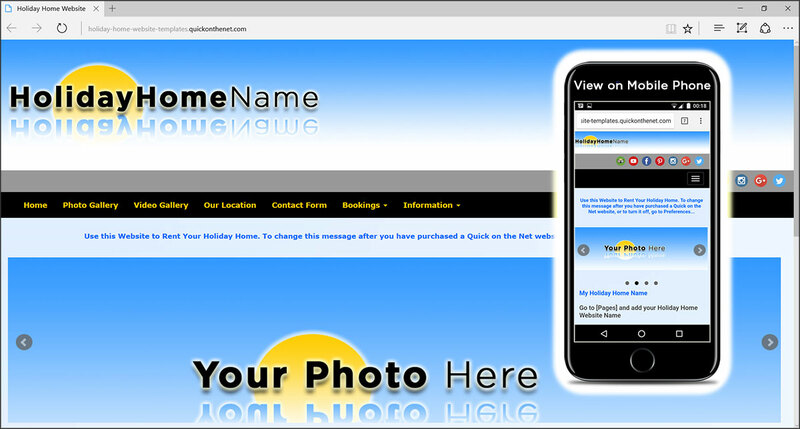 Ideal for a holiday villa apartment, this website design template has been created for holiday property rental services. If you're in the accommodation industry, or you rent out your holiday home as an additional source of income, this site is the 'must-have' business tool. 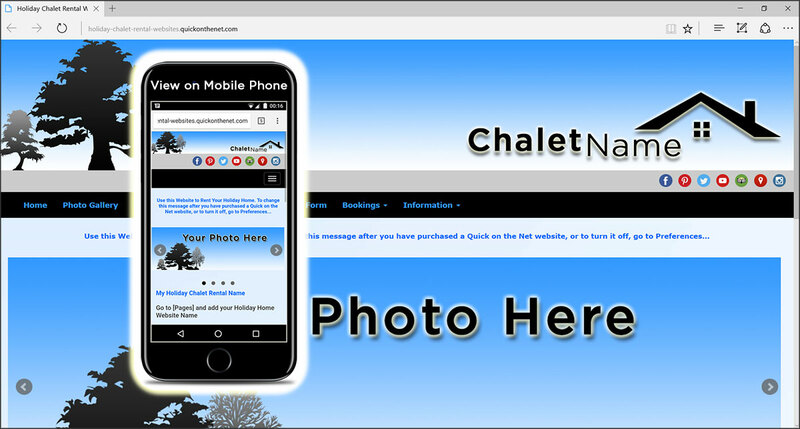 To put it simply, this website is designed to bring you new customers. Regardless of your location or the location of your holiday accommodation, this design concept will scale up or down to meet your requirements. This 'sunny' design scheme is bright and fresh, presented in a light blue and white gradient, using an image of the sun as a backdrop, alongside a stylish holiday villa logo graphic. If you own a second property and you wish to get a return on your investment, our property rental websites can put you on the fast track. Created to give you a presence on the search engines in the fastest time possible, our property sites have been created by a professional design team and already contain stylish property logo images.